Whenever I have read or heard Ms Armstrong talking about Islam I have found her opinion to be fair and balanced. Which is not something that you can say about many who write about Islam. When I saw this book I wondered what she had wrote in it. She explains the sira quite well and brings to life stories more than they should be. Alarm bells started ringing when he reported a false story that the orientalists have cooked up and are passing onto each other. One of the stories that has no origin in any history book is a false story of his proposed marriage to woman years before his first marriage. I have seen this story in more than one book and neither book quoted a source. The most alarming about this book is the various attacks on the companions which include wife beating and striking themselves when he passed away. All these were not sourced, neither are there any records for these events in the books of history. The fabricated story which is famously known as the "satanic verses" this is a fabricated story which was made up by heretics. More than ten scholars confirm this here she expands on this story in the most bizarre manner possible. This part can only be seen as a piece of creative writing because its simply not true. 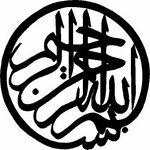 Although she explains the marriage to Aisha (may Allah be pleased with her) in a simple manner, "There was no impropriety in Muhammad's betrol to Aisha. Marriages conducted in absentia to seal alliance were often contracted at this time..." "This practice continued in Europe well into the early modern period. There was no question of consummating the marriage until Aisha reached puberty." Page 105. Her attacks upon the companions are the most worrying thing about this book yet she does not attack the Prophet (peace and blessings of Allah be upon him) with the same vigour. She is explains his actions in a good manner with the major exception of the "satanic verses." She also emphasises on his excellent characteristics but the attacks on the companions really takes me away from this book. At this point I begun to incline to the sira book by Barnaby Rogerson because overall that book has the normal orientalist arguements which many can see through but parts of this book are much worse. I was expecting this book to be much better than it turned out to be. To say it was disappointment is a major understatement but inshallah some people may benefit from this review. I would really like to find a book of sira so I can recommend it to non-Muslims to read, search continues. If you want to read it then borrow the book don't buy it. Short survival guide to books by orientalists - if you find a story that does not seem correct then follow these steps. 3. What is the source? Is it Primary or secondary? Please click on the title for the article about Islamic science. is the lead singer of the group System of a down, he wrote this essay after 9/11. By initiating peace, we would have already shaken the foundations of support for Bin Laden, and/or all those that sponsor activities like those we saw yesterday, and break the stronghold of extremists on the world of Islam. On the other hand, if we carry out bombings on Afghanistan or elsewhere to appease public demand, and very likely kill innocent civilians along the way, we'd be creating many more martyrs going to their deaths in retaliation against the retaliation. As shown from yesterdays events, you cannot stop a person whos ready to die. Did we find what we where looking for in Sheikh Abdul-Aziz’s speech? How many of use have made intentions? Imagine that you’re dead and you are resurrected then asked what did you learn for Allah Subhanu wa ta’ala? What would you be like? If there was a problem with the Salat, who knows how to correct it? I was drawn to this book by a friend of mine who commented on the ease of language over Martin lingss' text. Although I did not agree with him, at the same time I wanted to see how well written this text was. So the following is a short review of this book. The introduction makes it clear that that the author is someone has travelled in the Muslim world and experienced some Muslim Culture. One sometimes hopes in vain, that the people who write about Islam are Muslims this is not the case; many non-Muslim writers have written and will write books about Islam some of which will be useful and others will not. I am trying to decide which one this book is. The author goes on various tangents from story to story and he does allow the reader to immerse himself into the sira. He cuts other stories short whether he is doing it purpose or not remains to be proved. He makes several accusations which have no basis nor narration in the books of history because history is not taken from the mind rather its taken from authentic sources. Compare this to the Lings text which is referenced almost everywhere; this has very little in the way of references, apart from that which he quotes in the text or directly. There is a chapter at the end of the book on sources but this is not in referenced back to any pages. So can anything be taken seriously in this book without the appropriate refencing? Well, no you have to provide your sources if you are not then all you are doing is narrating a story and you could add whatever you liked to the text. Overall there are some good quotes that someone could take but advice to Muslims is to read what Muslims have written about their blessed Prophet (peace and blessings of Allah be upon him) rather than read what non-Muslims have wrote. That is not to say some authors have had some interesting stuff to say, they have, but what Muslims have written about him is much greater. So I would recommend Martin lings text than this but this text is better than the slanderous text by robert spencer. The intention for the student should be that he/she is learning for the Sake of Allah to implement what he knows and therefore drawing himself closer to Allah. Try to make a dua for assistance with lesson, if you don't know a dua recite Sura Fatiha before you go in. A student should arrive on time for the lecture and assist in setting up the teaching space with anything necessary such as barriers, tables, desks, book rests and or hand outs. Then they should come with notepad and pen to make notes to be reviewed within a few days of the lecture. If you do not come with a notepad and pen, you will not be able to remember much of the lesson afterwards. You should concentrate as much as you are able to, in the lesson. Show respect to the teacher by focusing on the lesson. if you speak it should only to help a colleague even then it should be briefly. If you talk during a lesson its shows disrespect to the knowledge that you are trying to take. If you ask a question either make eye contact with the teacher and ask but it is better for you to say the scholars name and then ask. Note sometimes time is allocated specifically for questions, so withhold until then. Try to avoid shouting out or making comments that maybe amusing to you but may annoy some students and even the teacher. If you don't understand something and are shy in asking a question, it now becomes important for to ask the question. Otherwise you will not understand the topic and the rest of the session you will not be able to understand the lesson. In a lecture you must wait until the end and try to understand as much until then. For the manners of asking questions then go to the other chapter on asking questions. It is better to sometimes ask question in private but other times if it relates to the text then ask in the lesson as someone else might not understand. If you ask a question during the lecture then it must be clear, so others can hear as well as yourself and the scholar. If someone asks a question and you know the answer or that it seems like a silly question remain silent and listen. You may receive more knowledge than your understanding. Do not ever laugh out loud because you think that persons question is funny this shows disrespect to everyone. Try not to move too much in the lesson and avoid fiddling with papers or materials. If you have to leave the lecture then leave as discreetly as possible and apologise to the teacher, if you are able to. Do not argue with the teacher, know he has more knowledge than you and you should respect this and not annoy them. If the teacher is writing onto a board then copy down everything that he was written, even if you already know it. If something isn't clearly written then confirm by asking. If you notice a mistake by the teacher you should mention it very discreetly and when no one is there but it may be a mistake in your understanding. So you could say, "I though it was like..." or, "Isn’t it..."
Generally you should cover the faults of your teachers especially the ones you see in private as they are you brothers/sisters as well. After a lecture it is good manners to thank the teacher for giving the lesson. Then put anything that you moved back into place, leave the place as you left it or better.